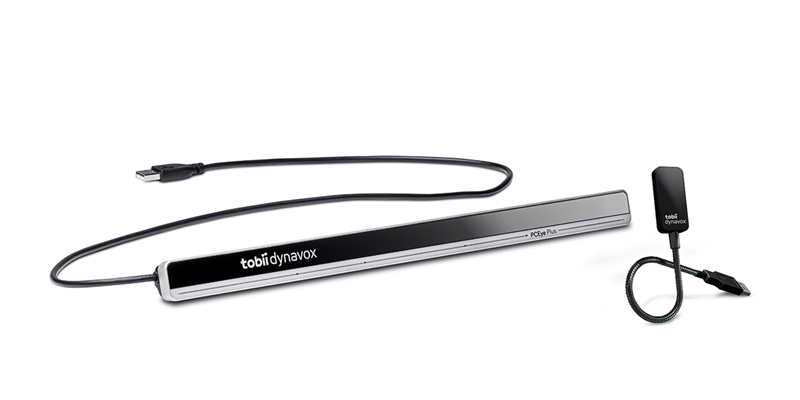 Tobii Dynavox, the global leader in Assistive Technology for communication, announced today the launch of the PCEye Plus, the world’s first device that combines advanced eye tracking, switch and infrared (IR) control with speech recognition. The PCEye Plus connects via USB to a Windows computer, giving users with physical challenges full control of any standard software and the surrounding environment. 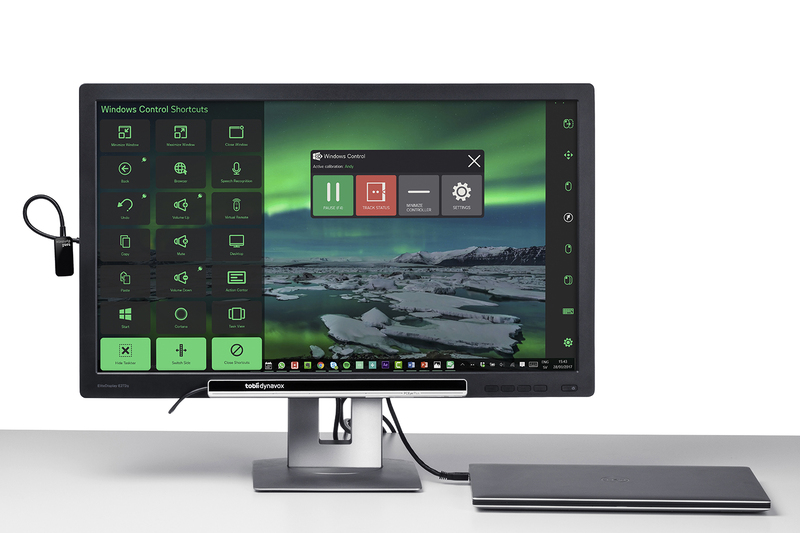 The PCEye Plus starts shipping to customers today and comes complete with the next generation Tobii Dynavox Windows Control and infrared remote control software. Tobii Dynavox eye tracking technology helps thousands of individuals with physical challenges, including spinal cord injuries or ALS, lead more independent and connected lives. It allows users to access a computer and the Internet using only their eyes – without requiring alternate access methods such as a mouth stick or head mouse. With a simple glance at a computer screen, a mouse cursor can be controlled through eye movement. The PCEye Plus enables users to surf the web, connect with friends online, play games, turn on the lights or TV, and even make spreadsheets using only their eyes. To further enhance these activities, verbal users can use speech recognition for dictation through an integrated high quality 4-array microphone system. Additionally, the PCEye Plus has a switch port on the device, which gives the power to control a computer more intentionally and efficiently, when combined with eye tracking. The new Windows Control software provides access to everything others can do with a mouse and a keyboard -- giving full gaze-enabled control of all settings, from calibration, languages or input methodology. The PCEye Plus comes with the EyeR Infrared dongle and a new Virtual Remote software. By simply plugging the dongle into a computer’s USB port, it unlocks the entire range of environmental controls including sensory rooms, IR toys, TVs and smart home functions. This information is information that Tobii AB (publ) is obliged to make public pursuant to the EU Market Abuse Regulation. The information was submitted for publication, through the agency of the contact person set out below, on May 3, 2017, at 17:30 p.m. CET.